Pasque or 'Easter' Flowers are the first wildflowers to bloom each year in Rocky Mountain National Park. Blooming in the lower elevations of Rocky, Pasque flowers tend to grown in and amongst the Ponderosa Pines. 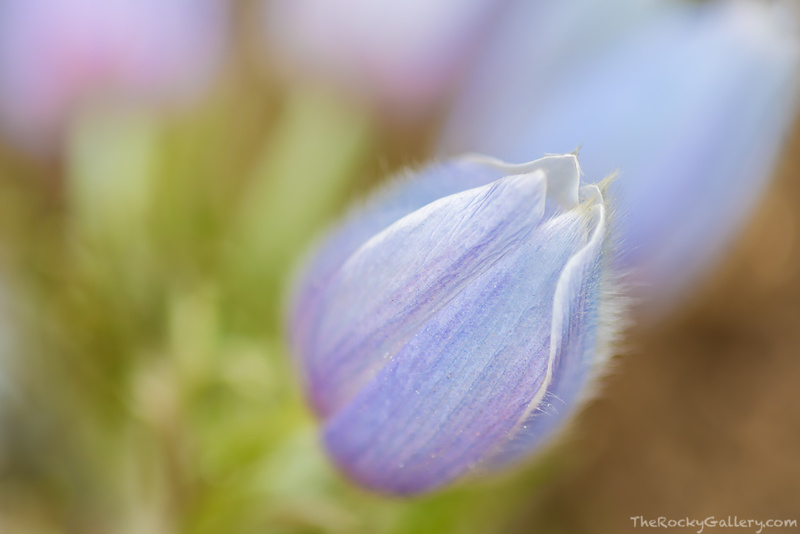 Pasque flowers are small and delicate. Before they open fully there subtle coloration would be easy to pass by without evening noticing. Look for these flowers in April and when you find them you will know spring is on it's way. Photo © copyright by Thomas Mangan.